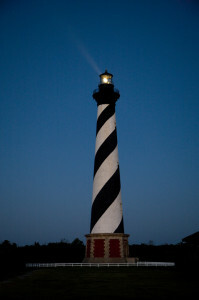 Next Thursday, August 7, is National Lighthouse Day. The National Park Service is celebrating at Cape Hatteras National Seashore with a number of special programs. Lighthouse Day is an observance of the day the Federal Government became involved in the construction, maintenance and repair of these special structures with the Lighthouse Act August 7, 1789. Lighthouses, whose solitary beacons have guided countless ships through perils of fog and darkness, are a cherished part of our Nation’s heritage. Often isolated and repeatedly tested by the ravages of storm and sea, lighthouses are monuments to the courage and determination of the people who built them and the keepers who have maintained them. 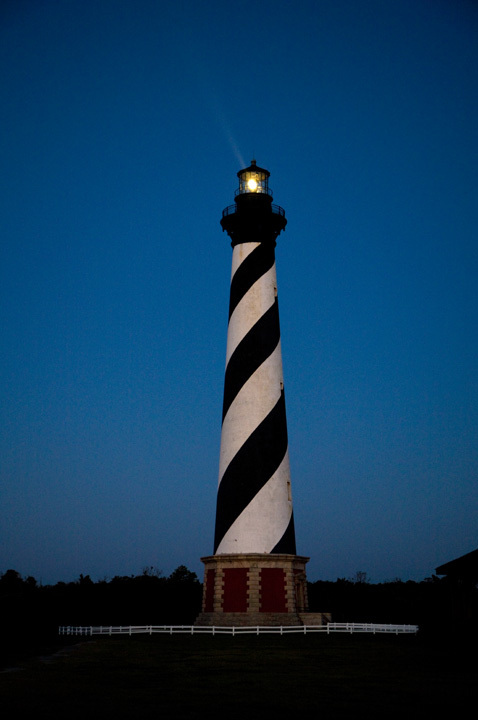 Cape Hatteras National Seashore protects and preserves three lighthouses: Cape Hatteras Lighthouse, Bodie Island Lighthouse, and Ocracoke Lighthouse. 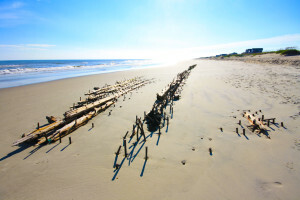 Take a journey along Highway 12 and explore the dynamic marine environment and get a sense of how it has shaped the Island and the people who have called this sandbar home for centuries. 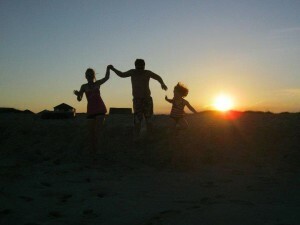 Click here to watch videos, view photos, and listen to stories shared by Outer Banks natives. 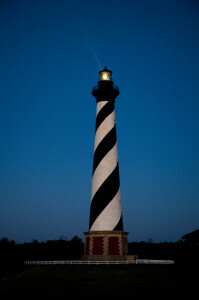 Columbus Day, October 8th, will mark the last day to climb the Cape Hatteras Lighthouse for the 2012 season. 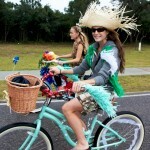 Tickets can be purchased on site the day of the climb, starting at 8:15am. Tickets are $7 for adults and $3.50 for senior citizens (62 or older), children (11 and under and at least 42″ tall), and those holding a National Parks and Federal Recreation Lands Access Pass. This time of year, climbs are made every 10 minutes between the hours of 9am and 4:30pm. Be sure to come prepared! The climb to the top consists of 248 spiral stairs, which is the equivalent of a 12 story building. 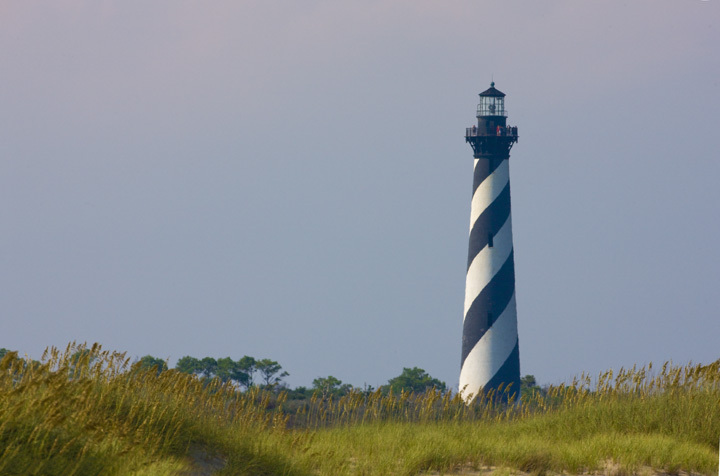 Join one of 120,000 people to date who have climbed the Cape Hatteras Lighthouse this year! *The lighthouse will reopen for the 2013 season on Friday, April 19th.